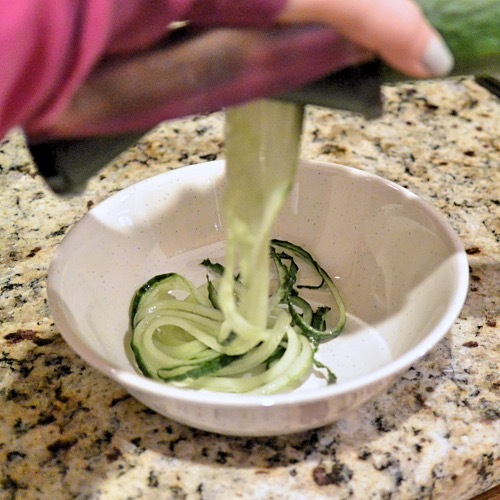 The Very Healthy Spiral Slicer by Varietyland adds a healthy twist to your dishes by turning ordinary vegetables like zucchini, carrots and squash into healthy veggie noodles. It is an innovative piece of kitchen equipment that makes slicing and eating raw vegetables easier and more convenient. The handheld tool makes spaghetti-like spirals out of vegetables in a matter of moments. The Spiral Slicer provides a quick and convenient alternative to the more traditional methods of cutting and slicing vegetables. The tool features two blades for different thickness options, can be used straight out of the box, and does not require batteries to operate. The design of the slicer promotes ease of use and the compact size of the device minimizes the required storage space. It’s really easy to use. Depending on the type of veggie you want to make into a “noodle” you use either the thicker blade or the thinner one. You simply insert the veggie and then start twisting it, and watch your spiral veggies come out! When the veggie gets too short for your to turn you can add the cap piece to help you so that you get the full amount of your veggie spiraled. That’s all there is too it! 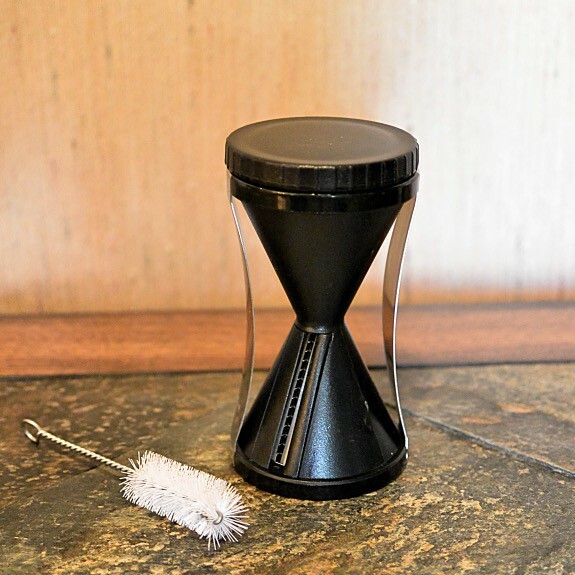 The Very Healthy Spiral Slicer comes with a brush to help you clean it too since the cone sections are a little hard to get into to make sure all of the veggie residue is cleaned out for the next time you want to use it. Right now Varietyland is selling the Very Healthy Spiral Slicer for just $14.29 and if you have Amazon Prime then you get the free shipping on it too. Even better… you can use the coupon code 3LBTRJLM and save 35% more! That code is good until Mother’s Day, May 10th, 2015. 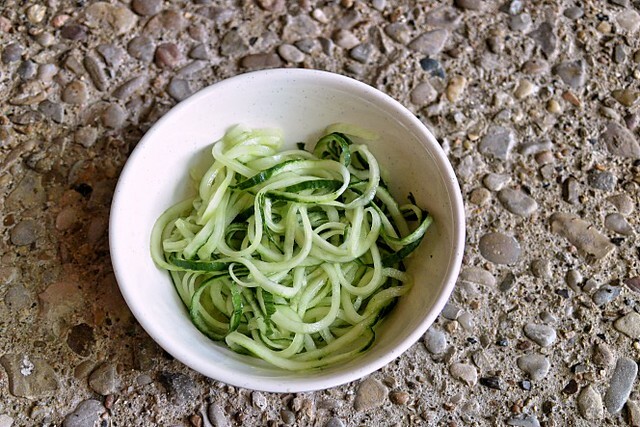 Here’s a wonderful recipe I made using spiraled cucumbers. 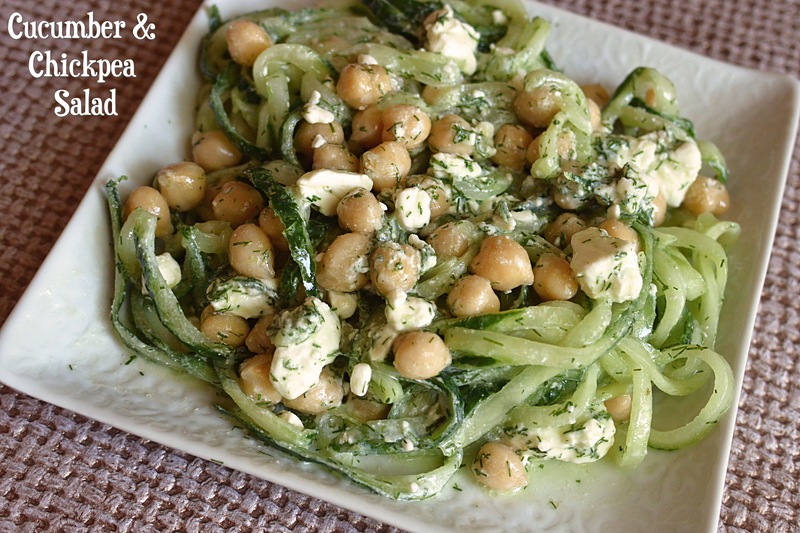 Toss the cucumber, chickpeas, and Feta with the oil, and dill. Now here’s a chance to win a Very Healthy Spiral Slicer for yourself! This giveaway is only open to U.S. residents ages 18+. No PO Boxes. The winner will have 48 hours to respond, and will be randomly chosen. By entering this giveaway you are stating that you have read and agree to the Privacy Statement and Giveaway Rules posted on our site. VOID WHERE PROHIBITED BY LAW.